We’d love your help. 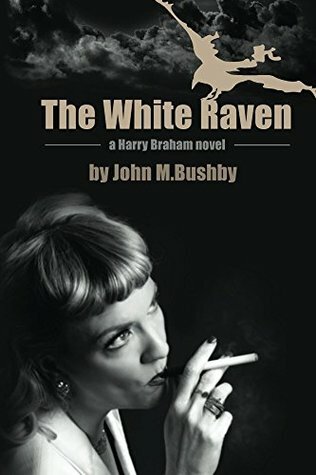 Let us know what’s wrong with this preview of The White Raven by John Bushby. Germany in 1934, the Nazi’s grasp on power is not yet complete. Throughout the country the Gestapo and the Sicherheitsdienst are bent on crushing any opposition. While the penalties for dissention are extreme, there are many who are determined to oppose the tyranny of the new world order. Those whose lives are in danger seek the shadow escape networks that have sprung up t Germany in 1934, the Nazi’s grasp on power is not yet complete. Throughout the country the Gestapo and the Sicherheitsdienst are bent on crushing any opposition. While the penalties for dissention are extreme, there are many who are determined to oppose the tyranny of the new world order. Those whose lives are in danger seek the shadow escape networks that have sprung up to move people out of Germany and on to freedom. No one knows whom to trust, but desperation drives many to take chances. Some are lucky and some fall into the abyss. Rumors abound among the hunted of a network called The White Raven, is it a person or a fairy tale? Wealthy, sophisticated and above suspicion, one woman serves to help the enemies of the Third Reich. If she is found out she will be swept into a concentration camp or even worse, become a pawn in a deadly game of political intrigue by men willing to overthrow Hitler and his henchmen. This story had everything. It's a thriller with lots of action, intrigue and mysteries. The characters were very authentic. It's very hard to put down and I read it long into the night.